Day after combat helicopter crash, Deputy Defense Minister demands propagators of Chief of Staff death rumors be arrested. 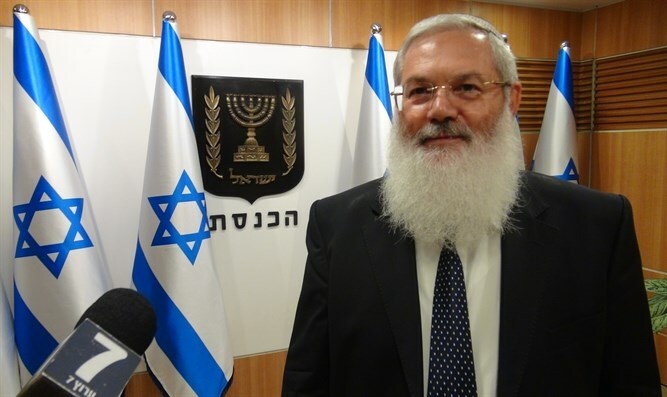 Deputy Defense Minister Eli Ben Dahan, speaking to Arutz Sheva about the Israel Air Force's combat helicopter crash, called on police to arrest those who spread rumors in the social networks about the death of the Chief of Staff in the disaster. "Unfortunately, an air force helicopter has fallen in a serious accident and the outcome is grave, and I am sure the Air Force will conduct an in-depth investigation to find the faults so that they will not repeat themselves." Ben Dahan mentioned that rumor-spreading is harmful, dangerous, and irresponsible, and is liable to harm state security. "This is very serious, and I think that every effort should be made to stop it; a few months ago they distributed pictures of a journalist on the Internet and the police found those people who did the distributing. Here too, the Israel Police will find those people who spread the rumors. "In the era of social networks it is impossible to keep information about a helicopter crash quiet, but spreading rumors that a senior official was in the helicopter is irresponsible," he said.